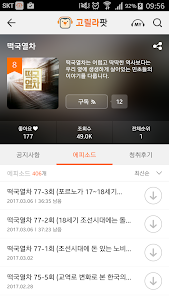 모바일로 즐기는 라디오세상, 고릴라4.5 플레이어! 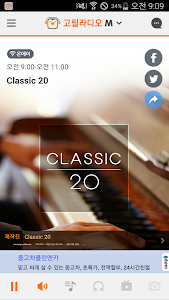 SBS 파워FM & 러브FM 온에어, 24시간 전문 음악 채널 고릴라디오M, 팟캐스트, 보는라디오는 물론 공감로그를 통한 실시간 방송참여까지 한꺼번에! 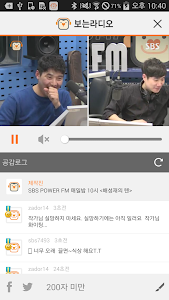 - 저장공간 접근 권한 : 다시듣기 및 팟캐스트 콘텐츠를 다운로드 받은 후 저장받기 위해 필요합니다. - 전화 접근 권한 : 수/발신 시 온에어 재생을 제어하기 위해 필요합니다. ※ 해당 접근 권한 허영 거부 시 해당 서비스 이용이 불가합니다. 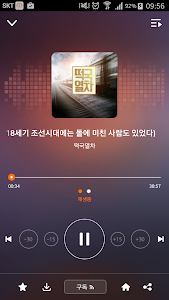 You can listen to, watch, and participate in SBS radio anywhere in the world. Mobile radio world, gorilla 4.5 player! 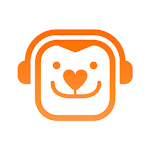 SBS Power FM & Love FM On Air, 24 hour professional music channel Gorilla Dio M, podcast, viewing radio, and live broadcasting through sympathy log! - This is a beautiful morning with heart and heart. - Storage access permission: You need to listen again and download the podcast content and save it. - Phone access authority: It is necessary to control the on-air playback at the time of sending / receiving. ※ When the access right is denied, the service is not available. -. 다시듣기 및 팟캐스트 연속재생 기능이 추가되었습니다.